Leatrice Ching is an award-winning director hailing from San Gabriel Valley who hopes to offer and develop her own distinct take on cinema. After developing her foundation for filmmaking at Pasadena City College, she transferred to the University of California, Irvine with a full scholarship into their Film and Media Studies Program. There, she gained the theoretical insight into the study of cinema which she implemented in her award-winning films, I SEE RED and CYCLES. Both projects were funded by the FMS Undergraduate Production, Research, & Travel Grant. Coming from a mix of Thai, Vietnamese, and Chinese roots, her films set out present stories and characters that audiences from many backgrounds can empathize with. 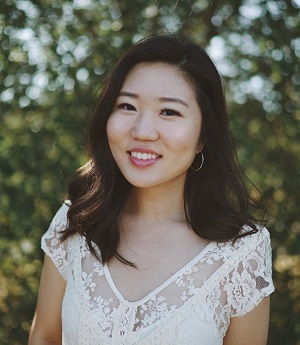 Eleanor Cho is a Korean American writer, director, and recent graduate of the USC School of Cinematic Arts. As a filmmaker, she is dedicated to promoting representation on-screen and believes in being a voice for the voiceless. Most recently, her junior thesis film won the Jury Award/Audience Award at the 2018 Transatlantyk Film Festival's Capturing Freedom Competition in Poland. Eleanor was one of four directors selected to direct a senior thesis film at USC and that film is going through the festival circuit. She is currently working as a Writers’ Production Assistant on a new HBO show. Sarah Cho is a Director, Writer, DP, and Producer whose work has garnered millions of views on TV and digital platforms. She was a 2018 Nicholl Fellowship Quarterfinalist and has been a 2nd Round Finalist for Sundance Screenwriter's Lab two years in a row. After graduating from the University of Pennsylvania, she honed her craft by creating content for the digital space by producing, shooting, and editing interviews with underground Hip-Hop and EDM artists. She then went on to produce CONTROL FREAK, a documentary exploring different aspects of the Adult industry. She has worked briefly in sports media as an Associate Producer for UNINTERRUPTED and has most recently worked as a Segment Producer/Preditor for a Showtime TV show. Varun Chounal is an Indian born, LA based filmmaker who has been an active part of multiple award winning films, episodic content, and commercials, some of which have played at prestigious festivals like Cannes and Sundance. His directorial projects have been recognized at various festivals, one even bagging the top prize at the New Delhi Short Film Festival. Recently selected to be a part of the Telluride Film Festival's Student Symposium, Varun's work amalgamates the east-west sensibilities that characterize his own identity and immigrant experience. He is currently developing an episodic series that deconstructs the struggles of first generation Sikh immigrants in America. Xin Li is a producer and director born and raised in China. After she earned her degree in journalism from the University of Kansas, Xin became a journalist for Portrait, a Chinese magazine based in Beijing, where she had the opportunity to interview public figures from various backgrounds. Xin discovered her passion for documentary filmmaking when she was in college. She has since worked with renowned documentarians based in London, Beijing and Los Angeles. She left her journalism job in 2014 to focus on building a career in filmmaking and later earned her MFA in filmmaking from the USC School of Cinematic Arts in 2017. In the past three years, Xin has directed and produced award-winning fiction and documentary films about immigrant culture, history, and the LGBTQ community in Los Angeles. David Liu grew up in an immigrant family in the San Gabriel Valley region of Los Angeles. He studied political economy at UC Berkeley before earning his MFA from the USC School of Cinematic Arts, where he received the Mary Pickford Endowment. He has co-directed a feature adaptation of THE ADVENTURES OF TOM SAWYER for Elysium Bandini Studios, and produced the Warner Bros.-funded feature film SAMIR, a contemporary re-telling of THE COUNT OF MONTE CRISTO set in post-9/11 Los Angeles. David's feature screenplay about jazz artist Charles Mingus was shortlisted for Francis Ford Coppola’s American Zoetrope Screenplay Competition. He is a recipient of the CAPE New Writers Fellowship. Born and raised in Boston, MA, Gary Mei is a writer/director who moonlights as a registered nurse with over seven years of experience working with mental health and substance abuse populations. In 2012, Gary wrote and directed A RAINY DAY FOR EARTHWORMS, which screened at the 2013 Los Angeles Asian Pacific Film Festival. In his dual careers as filmmaker and caregiver, Gary has disciplined himself towards providing the best possible care for those suffering from mental health and addiction; as well as being their advocate and champion through his stories, which are always acutely observed with a nonjudgmental eye. Chris Nguyen is an emerging documentarian based in Los Angeles. Born and raised in Orange County, he has a B.A. in English/Creative Writing from UCLA, where he divided his time between indie sets and creating content supporting education, access, and retention. Following a brief stint at Walt Disney Imagineering and the conflict resolution program Olive Tree Initiative, he now works in independent documentary as an Associate Producer for A WOMAN’S WORK and as a researcher/assistant on DREAMSTATE. He volunteers with A-Doc (Asian American Documentary Network), and was previously a coordinator on INVENTING TOMORROW (Sundance 2018). 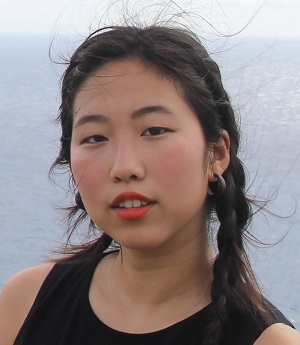 Isue Shin is a Korean American filmmaker from Vestal, NY who creates work relating to identity and memory. She received a BA in Modern Culture and Media from Brown University where she was part of the student-run production company. She attended the Telluride Student Symposium and the FAMU film program in Prague, Czech Republic. The film she created there, LOOK, screened at various festivals. After moving to Los Angeles, she worked on the documentary FINDING HOME: A FOSTER YOUTH STORY, which aired on PBS in November 2018. She currently works as a director’s assistant and cinematographer’s assistant.